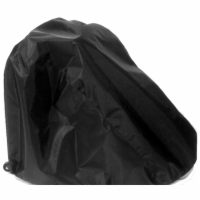 We carry a comprehensive line of scooter covers, power chair covers and manual wheelchair covers available in standard and heavy duty grade material. 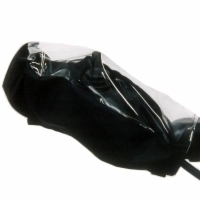 These covers are designed to form fit your power wheelchair and electric scooter to provide the highest level of protection from the outdoor elements. 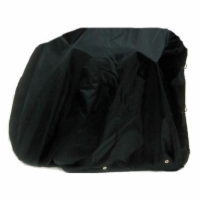 Choose a cover from our inventory and keep your power wheelchair or mobility scooter protected as you travel with it on the back of your vehicle or while it sits outside your home when not in use. 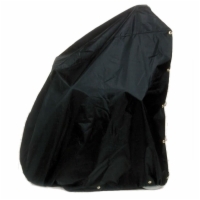 2 piece seat and tiller covers protect your seat and tiller from moisture to prevent any unwanted water damage to your electric scooter. The tiller covers are designed so that your electric scooter controls are still visible while you operate your electric scooter with the cover on. 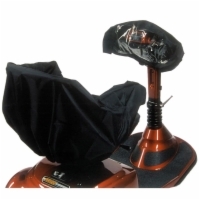 Protect the joystick controller on your power wheelchair from rain and other sources of moisture that could potentially damage it. Covers travel mobility scooters during transportation. Made of a waterproof material that is easy to take on and off. Available in standard and heavy duty material grades. Two piece cover system for your mobility scooter's seat and tiller. 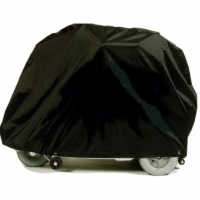 Covers small to medium mobility scooters during transportation. Made of a waterproof material that is easy to take on and off. Covers tall, small to medium power wheelchairs during transportation. Made of a waterproof material that is easy to take on and off. Covers small to medium power wheelchairs during transportation. Made of a waterproof material that is easy to take on and off. Covers large mobility scooters during transportation. Made of a waterproof material that is easy to take on and off. Covers tall, large power wheelchairs during transportation. Made of a waterproof material that is easy to take on and off. Covers large power wheelchairs during transportation. Made of a waterproof material that is easy to take on and off. Covers the largest 4-wheel mobility scooters during transportation. Made of a waterproof material that is easy to take on and off. Covers the largest power wheelchairs during transportation. Made of a waterproof material that is easy to take on and off.